At Martinez Tree Service our expertise and caring hands allow us to provide a complete tree service guaranteed to ensure the health and well being of your trees season after season, year after year. Proper routine tree trimming or tree pruning is critically necessary not only in maintaining the aesthetics of a beautiful tree but also its overall health. 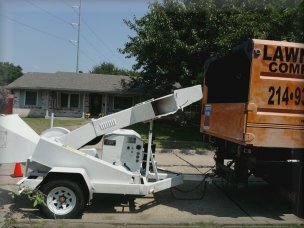 Our specialists at Martinez Tree Service will guarantee to recommend the very best technique when we take care of your trees. Your trees health and your satisfaction is always our concern. Tree & Shrub Installation At Martinez Tree Service, we firmly understand that your trees are a precious part of your lawn and landscaping. When you are trying to decide whether to remove a tree completely or not, we will promise to take every other option under consideration before a final decision is made. However, there are occasions when removal becomes unavoidable. Certain instances would include a sick, dying or dead tree, a tree that is hindering the livelihood of other trees in the vicinity or even a pending new construction. Our specialists at Martinez Tree Service promise to provide the very best advice when it comes to the future of your trees. 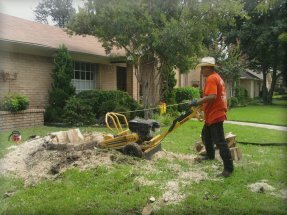 If removal becomes your solution, we will also recommend the tree stump to be removed, avoiding possible termite or carpenter ant infestation. Once the tree stump has been removed we will leave your property free of debris and a home for a new young tree to grow in its place. Should the need arise where we would recommend the additional support of cable and bracing our technicians will gladly recommend placement in the best interest of the tree itself. Along with your trees, Martinez Tree Service is also happy to install new sod to create a lawn that with proper care will remain beautiful, season after season. Regardless of your tree service need, Martinez Tree Service will gladly be at your service. You can also have complete confidence in our expertise and professionalism and our promise that we will always remain competitively priced.